Photograph of Antoni Guardi, March 15, 1878. Image courtesy Wikipedia. Lately I’ve been listening to episodes of the podcast Stuff You Missed in History Class. Earlier this week I listened to an episode on the architect Antoni Gaudi (shown in his younger years above), who is best known for buildings like Casa Milà, and the yet-unfinished church La Sagrada Familia. In the latter part of the podcast, I was surprised to hear about the circumstances surrounding Gaudi’s death. As Gaudi became older in age, he began to care less about his personal appearance and looked rather disheveled, albeit that he devoted care and attention to his work project at La Sagrada Familia. (Gaudi also appears to have been camera-shy during his later years, because I couldn’t find any photographs of him in such a disheveled state!). 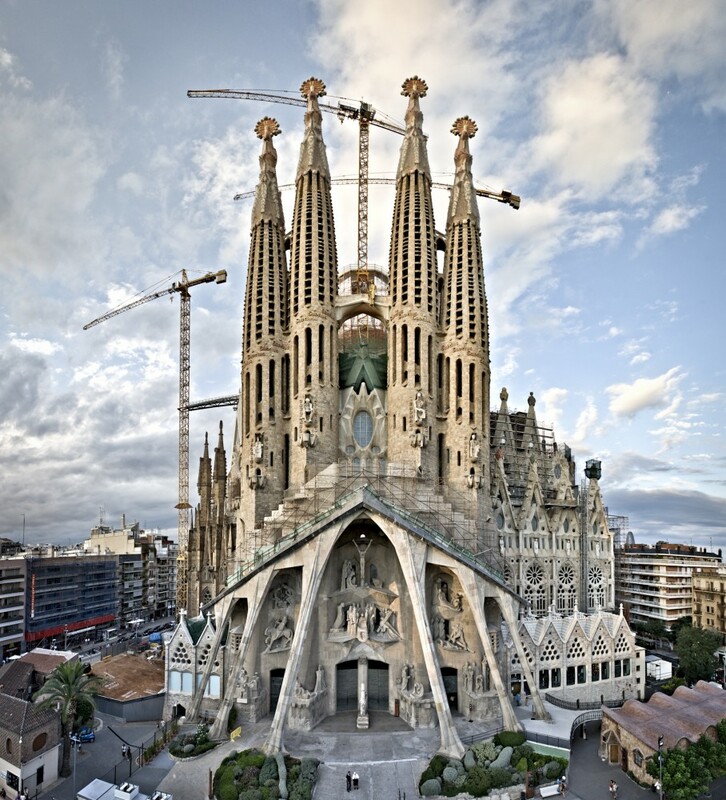 After leaving the La Sagrada Familia work site on June 7, 1926, Gaudi was struck by a tram. Due to his disheveled appearance, people at the scene did not recognize the famous architect and the taxi drivers refused to drive a vagabond to the hospital. (The taxi drivers were subsequently fined.) Since Gaudi was not immediately helped (and also was ultimately taken to a pauper’s hospital), by the time he was found by his friends he was in very poor condition. He died three days after the accident, on June 10, 1926. His funeral was a very large affair in the city of Barcelona, and he was buried in the crypt of La Sagrada Familia. 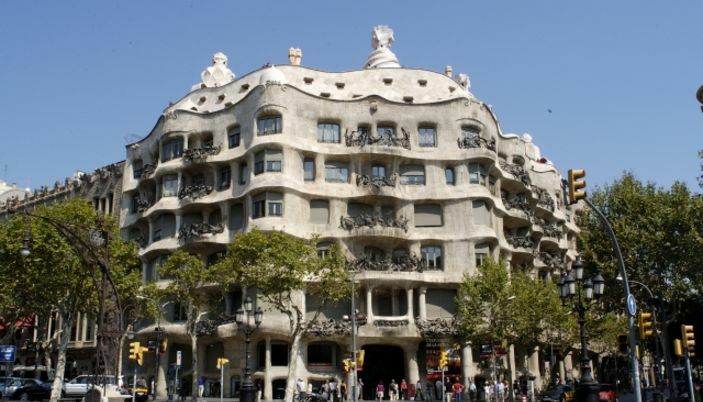 If Gaudi had not been mistaken for a vagabond, perhaps he could have received better medical attention and his life would have been spared! What a tragedy! Vasari writes that Gherardi was very unconcerned about his personal appearance, who would wear his cloak inside out or two different types of shoes. When Duke Cosimo de Medici questioned Gherardi on his inside-out cloak, Gherardi, responded, “…but let your Excellency look at what I paint and not my manner of dressing.”2 The Duke responded by sending Gherardi a reversible cloak, so the cloak could never be inside-out! Perhaps given Van Gogh’s emotional health issues, it is unsurprising that this artist is described as unkempt. However, I was interested to learn that Van Gogh seemed to deliberately dress in an unkempt fashion. I was about to write that is seems contradictory for one to consciously try to appear unkempt, but upon second thought, it seems like a lot of fashion trends strive for just that effect! Moritz Nahr, Gustav Klimt in front of the entrance to his studio at Josefstädter Strasse 21, 1912. Gustave Klimt is described as having a long, disheveled beard. It seems fairly groomed in the photograph above, but I wanted to draw attention to the floor-length smock that Klimt would typically wear when he was painting in his studio (see above). 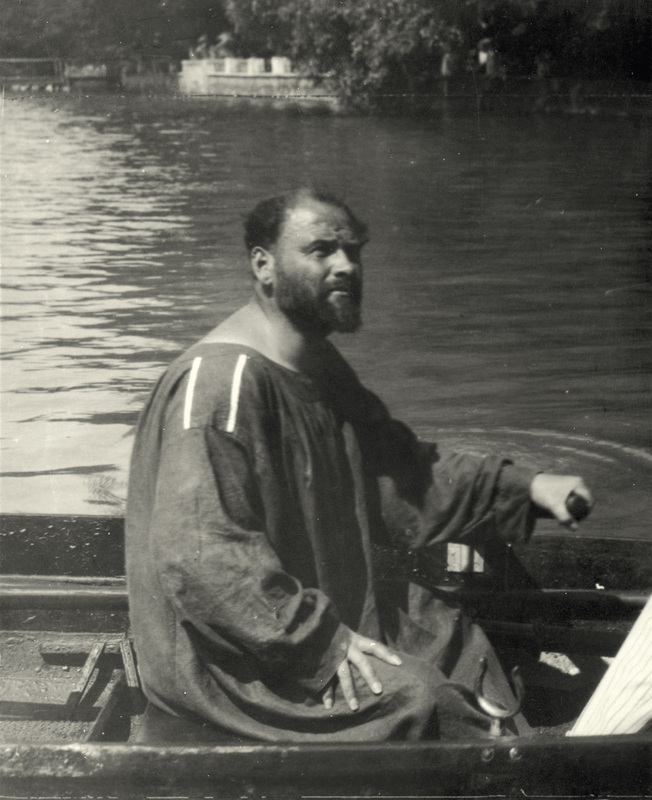 Perhaps Klimt was not as disheveled and unkempt as some of other artists mentioned here, but his mode of dress was a little bizarre, to say the least (especially since he typically did not wear anything else underneath the smock!). 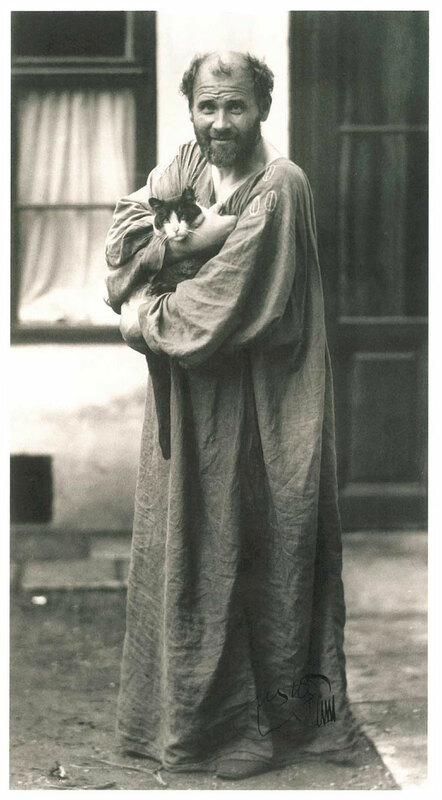 Oddly, he posed for many photographs dressed in this smock, including one of him in a boat!. What other artists do you know of that are described as unkempt or disheveled in their appearance? 1 See Paul Barolsky, Why Mona Lisa Smiles and Other Tales by Vasari (Penn State Press, 2010), p. 28. Available online HERE. The obvious one would be Caravaggio, although I imagine he looked all right when his clothes were new, before they were worn threadbare. I hate to imagine how he (and others) might have smelled.